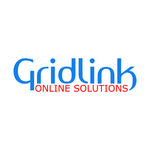 Thank you for visiting the Gridlink.co.za (“Gridlink Online Solutions”) Website (“https://www.gridlink.co.za”) and welcome to our Terms and Conditions of Use Agreement (“Agreement”). Access to, browsing, and use of this Website are subject to the following terms and conditions and any other terms, conditions or guidelines set out elsewhere in this Website, as well as all applicable laws, rules and regulations, including but not limited to laws regarding trade marks, copyright, rights of privacy, and defamation. By using this Website you accept and agree to be bound by these terms and conditions and all applicable laws. If you do not agree to and do not want to be bound by these terms and conditions, you should not use this Website. Furthermore, should you receive an invoice from gridlink.co.za or any of its representatives and pay for said invoice, you here by agree to be bound by the following terms and conditions. Gridlink.co.za periodically offers promotions on its products and/or services, to keep up to date with our latest promotions as we roll them out, kindly ‘like our Facebook page’ or ‘follow us on twitter’. Gridlink.co.za and its workforce reserve the right to deny any such project to a customer, and furthermore has the right to terminate any special offer/promotion without prior notice. To find out more about the rules and regulations related to the current and past special offers/promotions continue reading through the next subheading. We have reduced our starting price by 50% until June 15th 2018. Starting price is now R4999.00 | $399.00. This offer may end sooner than stated above should we fill our workload capacity. The prices stated above are starting prices - should you have a project in mind that is more complex we will provide you with a quote. Client to gain full rights to all files developed and designed, related to new website. Owndership: The client shall be entitled to full ownership of all final artwork created and files developed during the project, upon full payment of the agreed fee. Third party contracts: Gridlink.co.za may contract with other creative professionals to provide services such as but not limited to web development, photography, and illustration. Any third party terms and conditions will include full reproduction rights for the client. Where such contracting adds to the project cost, the client will first be asked for permission to proceed. No project will commence on the assumption that third parties might be required for project completion. Such details will be finalised prior to project commencement, unless requested by the client at a later date. Unless otherwise agreed upon in writing between the client and Gridlink Online Solutions, all projects will have a revision limit of three (3) **revision rounds. Additional revisions will require additional payments to be undertaken, these costs will be discussed with the client, and will depend on design/programming complexity, as-well-as the time needed to achieve the desired results. It is the client’s responsibility to make sure the needed revisions are accomplished within the above revision round limit. **A revision round refers to a set of revisions given to Gridlink Online Solutions by the client. One (1) batch of revisions sent as a single package (1 email) is equal to one (1) revision round. Payment must be made in full before we initiate any project project. Additional payments may be required by the client should additional requests over and above the originally agreed upon workload are presented. In the case whereby there are additional fees owed to Gridlink by the client, Gridlink reserves the right to withhold any/and/or all project files related to the job at hand, until payment has been made in full. If, after the project has commenced, subsequent invoices are not paid within 30 days, the maximum interest will be added monthly, compounded as specified by the national credit act and will be levied on overdue bills as per incidental credit agreements. If after project commencement client communication (face-to-face, telephone, or email) stops for a period of 180 days, the project may be cancelled, and ownership of all copyrights shall be retained by Gridlink.co.za. A cancellation fee for work completed shall be paid by the client, with the fee based on the stage of project completion. The fee will not exceed 100 percent (100%) of the total project cost. Should the project in question be considered no longer feasible, either due to a lack of effective communication protocol from the client, or excessive changes/amendments to be made to the project in question – The staff at Gridlink hold the rights to terminate said project. If a client rejects several demos without giving sufficient criticism or suggestions. If a client requests features that were not in the original agreement. If a client makes unreasonable requests, usually with delivery time. If a client is unable to make decisions, forcing you to make constant changes to the project. Samples: The client shall provide Gridlink.co.za with samples of print design that result from the project deliverables. Such samples shall be representative of the highest quality of work produced. Gridlink.co.za may use such copies and samples for publication, exhibition, or other promotional purposes. Gridlink.co.za shall have the right to photograph all completed designs or installations and shall have the right to use such photographs for publication, exhibition, or other promotional purposes. Images: The client shall provide Gridlink.co.za with all required images related to graphic design and/or website development. The client hereby acknowledges that Gridlink.co.za will not be held liable for any copyright infringement related to images supplied by the client, both directly and indirectly. The client agrees to supply Gridlink.co.za the necessary licencing information for the respective images to be used within each project. 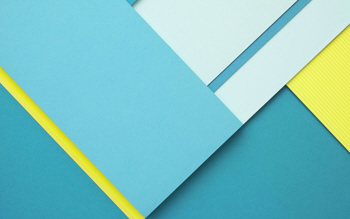 If the client cannot produce licencing information for any particular image, Gridlink.co.za reserves the right to deny the use of any such image within projects both before start and in progress. Should the client have no image files (illustration, photograph or vector) to provide Gridlink.co.za for the use in the client’s respective project, the client will be offered the opportunity to purchase certain related ‘royalty free’ images with a ‘single use licence’ so the project my continue/commence. The client will be expected to pay an additional fee in-order to cover the licencing for these images. This fee will be discussed with the client at the time of need. Confidentiality: The client shall inform Gridlink.co.za in writing before the project commences if any portion of any material or information provided by the client or if any portion of the project is confidential. Indemnity: The client agrees to indemnify and hold harmless Gridlink.co.za from any and all claims, demands, losses, causes of action, damage, lawsuits, judgements, including attorneys’ fees and costs, but only to the extent caused by, arising out of, the work supplied by Gridlink.co.za. Gridlink.co.za specifically denies any responsibility for the accuracy, or quality, of information obtained through its services. In no event shall Gridlink.co.za or any of its representatives be liable for any loss, or loss of data, or any other damages. The Customer shall hold the Gridlink.co.za harmless against any claims that the Client may have against the Gridlink.co.za for any services that Gridlink.co.za may provide. Limitation of Liability: The services and the work product of gridlink/designer are sold “as is” in all circumstances, the maximum liability of gridlink/designer, its directors, officers, employees, design agents and affiliates (“designer parties”), to client for damages for any and all causes whatsoever, and client’s maximum remedy, regardless of the form of action, whether in contract, tort or otherwise, shall be limited to the net profit of gridlink/designer. In no event shall gridlink/designer be liable for any lost data or content, lost profits, business interruption or for any indirect, incidental, special, consequential, exemplary or punitive damages arising out of or relating to the materials or the services provided by gridlink/designer, even if designer has been advised of the possibility of such damages, and notwithstanding the failure of essential purpose of any limited remedy. Litigation: In all other circumstances, the parties specifically consent to the local, state and federal courts located in the state of California. The parties waive any jurisdictional or venue defenses available to them and further consent to service of process by mail. Attorney Fees: The prevailing party shall be entitled to recover its attorneys’ fees and costs in any dispute resolved by binding arbitration or litigation.